Membrane bioreactor (MBR) is a wastewater treatment that combines biological activated sludge process with membrane filtration. 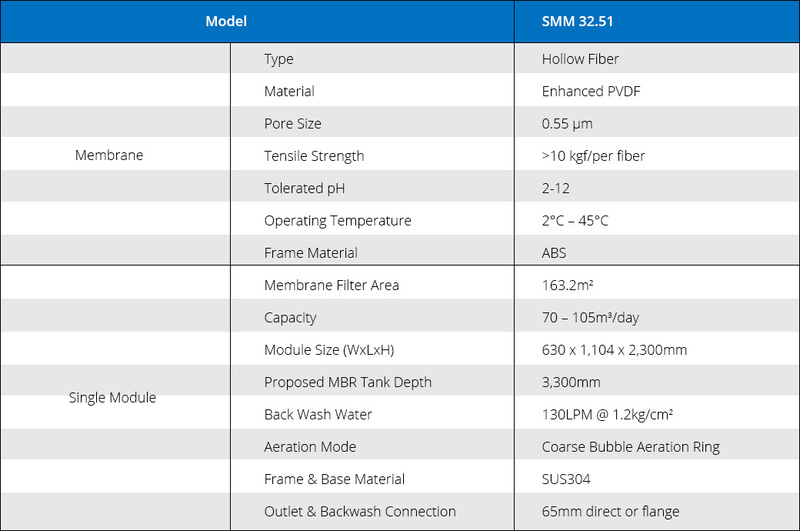 Submerged membrane module (SMM) is a compact module system designed to submerge in aerobic tank. Its small membrane pores of 0.055um retain activated sludge, suspended matter, bacteria and viruses in the biological reactor, allowing only liquid to pass through. 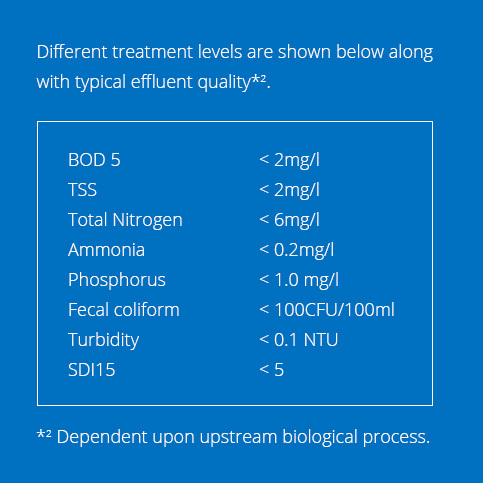 This results in a much higher effluent quality than conventional systems. MBR Is able to operate efficiently at high mixed liquor suspended solids (MLSS) of up to 15,000mg/l, allowing much longer sludge retention time (SRT) of more than 30 days; High MLSS and long SRT produce 30% to 70% less sludge and require only small process basins; hence the overall plant footprint can be 50% to 70% smaller than SBR system. Is a compact module system designed to submerge in aerobic tank. It has detachable frames, membrane frame on the top and air diffuser frame at the bottom. The air diffuser at the bottom produce air bubbles across membrane surface which create shear force that limits build up on the membrane. 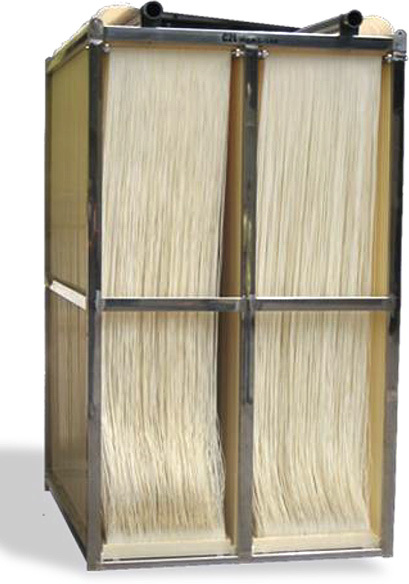 The membrane frame can be dismantle without affecting the piping to the air diffuser, make it east for CIP. Waterlons SMM can be conveniently fit into new setup WWTP or retrofits into existing WWTP.